Meyer lemons are another seasonal fruit that I was excited to experiment with. 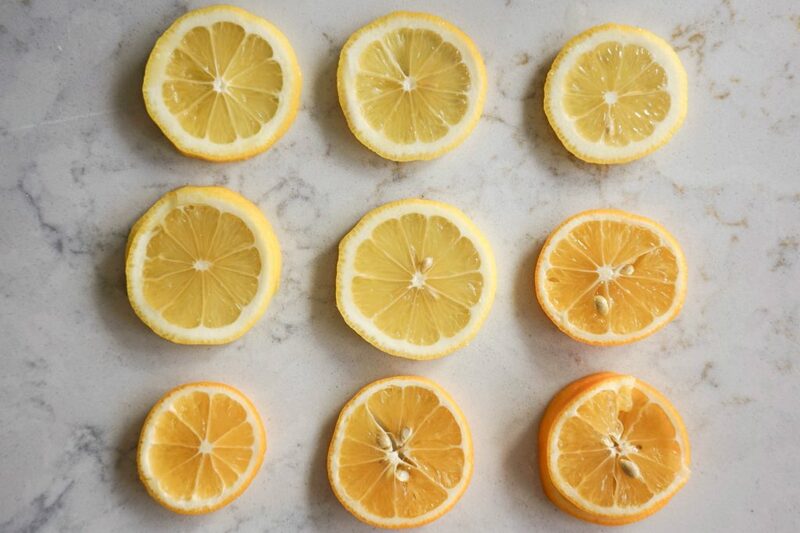 They’re different from regular lemons in that they’re smaller, sweeter, a deeper yellow in color, and actually a cross between a regular lemon and mandarin oranges. They were actually brought over from China in the early 1900s. This article on The Kitchn explains the differences really well. I picked up some Meyer lemons at ALDI a few weeks ago with high hopes of using them in a couple cocktails. I was inspired by two things: a cocktail I saw on Husk Savannah’s Instagram (@husksavannah), and a punch recipe my family made several years ago called Lynchburg Lemonade. It was basically lemonade spiked with Jack, and as you can imagine, it was quite stiff. I liked the idea of a lemonade cocktail, but didn’t want it to be straight spiked lemonade. Trying to be a little classy over here, y’all. I made the first iteration of this with Four Roses, which has become my go-to bourbon. But Kentucky Meyer Lemonade didn’t quite have the same ring to it, so I switched it up and used a good ol’ Tennessee whiskey I picked up at my local liquor store. So it’s still a bit of a nod to the Lynchburg Lemonade recipe. When testing my ideas, I knew it would need a sweet element (other than the mint) to balance out the Meyer lemon—even though they’re not as sweet as regular lemons. I opted for a honey simple syrup: not as sweet as a plain sugar syrup, and I love the lemon-honey flavor combo. It was the perfect sweet note that I was hoping for. Plus, I use local raw honey, which is even better. Use raw/local honey whenever possible, y’all. Side note: check out my other spring cocktail, appropriately called “Is It Spring Yet?” It uses cucumber-basil vodka, and it’s light, refreshing, and delicious. 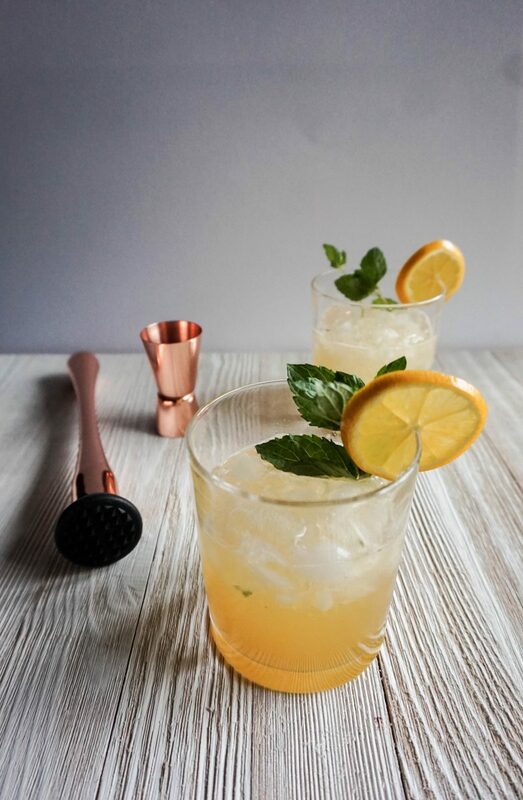 Try this Tennessee Meyer Lemonade cocktail recipe for a taste of spring. It’s fresh, citrusy, a little sweet, and absolutely delicious. This makes two drinks; double for more. If you prefer more tart lemonade, add another couple slices of lemon and/or reduce the honey syrup to 1/2 ounce. Make honey syrup: combine 1 cup honey and 3/4 cup water in a small saucepan and heat until combined. Cool before using. 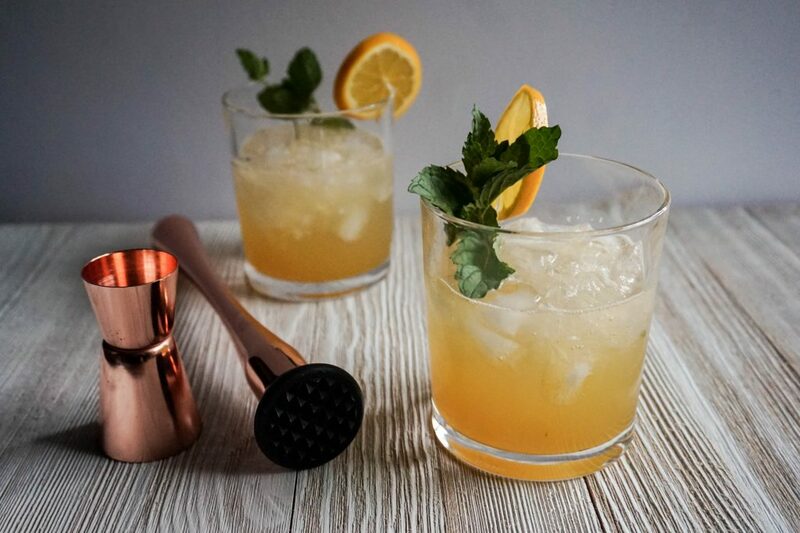 Muddle Meyer lemon and mint with honey syrup. Top with club soda, and garnish with mint (and Meyer lemon wheel, if desired). What cocktails are you mixing up this spring?